The Larissa Hoteliers Association and the non-profit Association of Advertising & Communication Companies of Central Greece (EEDEKE) have joined forces to promote the region as a leading tourism destination. The two professional bodies signed a protocol of cooperation which they announced this week during a joint press conference. Immediate initiatives include a tourism career day titled “Tourism as a Job” in collaboration with the Thessaly University to be held on June 2 at the Metropol Hotel in Larissa, and a fam trip for tour operators and sector professionals on June 5-7. “Both associations share a common vision for tourism development in our region. 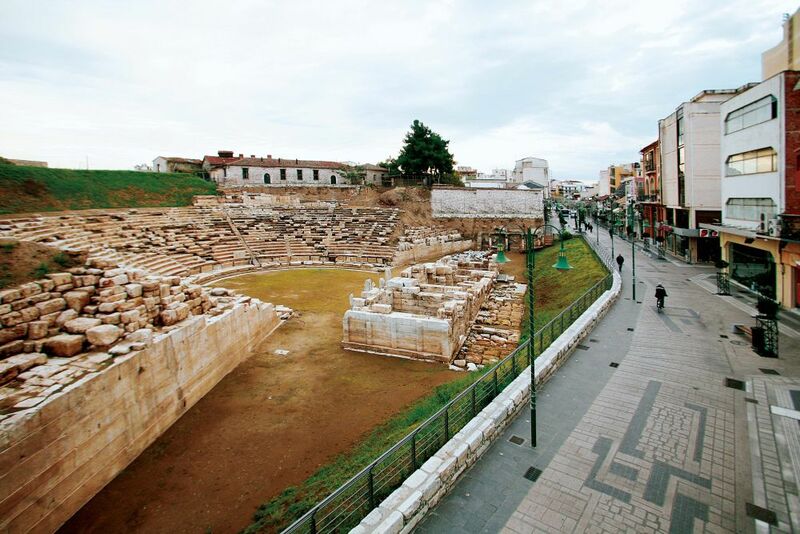 Situated between two world-famous landmarks, Olympos and Meteora, and with the city of Larissa distinguished for its liveliness, history, culture and ancient theatre…. no one can be left out of this effort, the regional authorities and municipalities, the chambers, private bodies and active citizens,” said Larissa Hoteliers Association President Irini Papaioannou. Mrs Papaioannou added that the priority now is to establish a Thessaly-wide body which will involve both private and public parties for the promotion of the region. EEDEKE General Secretary and Alpha Marketing Managing Director Tasos Gousios added that connecting the Volos/Nea Anchialos Airport with Athens was vital so that it can handle incoming international flights to Greece, facilitating both tourists who would like to visit the region and businessmen from Thessaly traveling abroad.